Just wanted to pass on a few holiday things I like lately! Two posts in an hour, woo hoo. 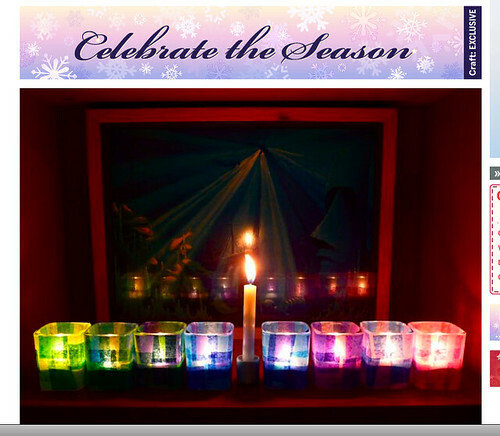 Loving Diane’s beautiful and ultra-simple menorah project on CRAFT:. And Pam’s yarn stars are lovely too! What a mother and daughter team those two are! 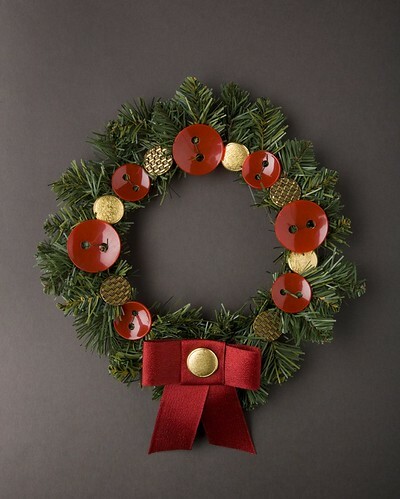 Speaking of holiday crafts to try, I keep forgetting to mention over here that my Red and Gold Button Wreath project tutorial has been featured in the Houston Chronicle! So cool. If you happen to make one, please add it to the Button It Up flickr pool — I would love to see it. I’ll be hanging mine up on the porch this weekend (once it is hopefully above freezing, that is… ugh). 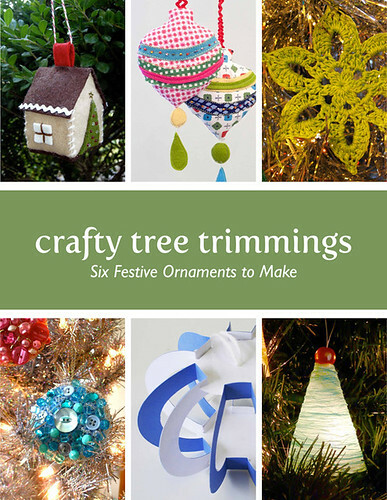 Last, our beloved little Crafty Tree Trimmings ornament e-book is now $3.00 off with the code FORLINUS at checkout, so it’s now $9.00. We are hoping to give the best possible donation to Project Linus and thought we’d make it a bit easier to snap up! A huge thank-you again to those who have supported our book and our fundraiser. Thanks for helping us spread the word! On that note, I’m off to do some sewing and button-hairclip-demo prep. See you on Sunday! tiny ribboned gift bags! get crafty at Crafty Wonderland! That menorah is so simple and modern I love it! Thanks for sharing!